The man widely regarded as the father of the Z car, is Mr. Yutaka Katayama also known fondly as "Mr. K" to his fans. Even though Katayama is no longer with us, he will always be remembered as the man behind the Z's success here in the U.S. and around the world. 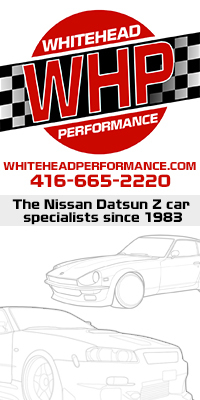 If it weren't for his efforts, the Datsun 240Z may not have made it here to America in the first place. Katayama, who served as Nissan's president of U.S. operations from 1965-1975, fought to ensure that the 240Z would be a two-seat, fixed-roof sports car, not the convertible grand tourer Nissan's management in Japan initially wanted. Katayma was convinced the company's new sports car design would be a hit in the U.S., and when the car finally arrived in 1969, his predictions were correct. The car was an immediate success, and dealers found themselves with a backlog of orders. The 240Z was released in America on October 22, 1969. Combining good looks, and powerful performance, it sold over 45,000 units through the ’71 model year and over 50,000 and 40,000 in 1972 and 1973, respectively. Known as the Datsun/Nissan 280ZX in export markets, the car continued to use the “Fairlady” moniker in the Japanese domestic market where 2-litre inline-six engines were also available and was first introduced in 1978. The Z-car was completely redesigned in 1984, and introduced Nissan’s new series of 3.0-liter V6 engine, dubbed the VG series. The same engine was used in the Electramotive (later to become NPTI) GTP ZX-Turbo that dominated the IMSA GTP races in 1988 and 1989. Upon its release, the new 300ZX became an instant hit, winning Motor Trend’s “Import Car of the Year” in 1990 as well as “One of the Top Ten Performance Cars”. Automobile Magazine honors the 300ZX/300ZX Turbo as its “Design of the Year” and adds it to their “All Stars” list. In the summer of 2002, the 350Z was released to wide acclaim. It employed a slightly improved version of the 3.5-liter VQ35DE DOHC V6 engine found in multiple Nissan cars at the time, including the Skyline and Pathfinder. On December 30, 2008 the 370Z was introduced as a 2009 model. 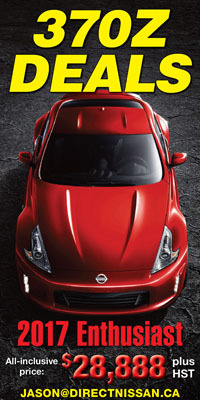 In June 2009 the second generation 2009 Nismo 370Z debuted. 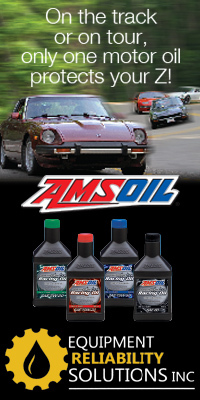 This was followed by the introduction of the 2010 370Z Roadster in late summer of 2009.